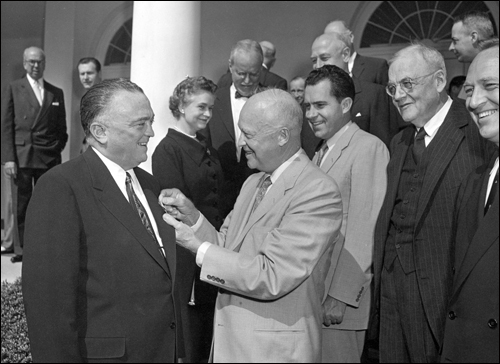 A debate is brewing inside the Beltway and beyond, pitting some current and retired FBI agents against one another in a fight over the legacy of J. Edgar Hoover and whether the name of the Bureau’s first and most controversial director should grace the FBI’s proposed new $1.8 billion headquarters. For more than 40 years since Hoover’s death a debate has raged about how to remember the man — as an anti-crime and national security hero, a civil liberties-squashing villain or something in between — and new interviews conducted by ABC News show that even among current and former agents and officials, there’s widely varying opinions on Hoover and the naming of the new headquarters. Posted: 6/8/16 at 10:39 AM under News Story.